IBM introduced Watson Analytics Professional, a new edition that gives users more business-centric capabilities, such as a collaboration function that lets multiple people work simultaneously in a single Watson Analytics dataset. Also, the new edition supports IBM dbDash, IBM DB2 databases, Java Database Connectivity (JDBC) API connectors for SQL databases, IBM SQL Database for Bluemix and report data from IBM Cognos 10 business intelligence software. This expanded support enables businesses to upload and analyze immense new streams of data from across an organization’s varied disciplines. Initial editions of the service, Free and Personal, support CSV and Excel spreadsheet files. In addition to the database support, Watson Analytics Professional features new connectors that enable Dropbox and Box cloud storage users to upload spreadsheets from those accounts for analysis. IBM said organizations of all shapes and sizes are turning to Watson Analytics, IBM’s cloud-based analytics service, for fast, accurate and actionable insights into business operations. These organizations are using Watson Analytics to improve business processes and customer engagement, while better understanding fluctuating business dynamics caused by sales, marketing and even weather. 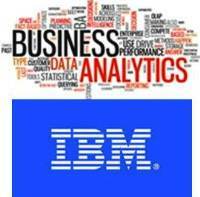 Watson Analytics is a natural language-based cognitive service that provides business professionals across such disciplines as marketing, sales, operations, finance and human resources fast access to predictive and visual analytic tools. Through IBM’s relationship with Twitter, Watson Analytics also enables customers to analyze social sentiment for insights around programs, products, trends and more. Since its release in December, more than 40,000 have registered and are using Watson Analytics.